Production on Star Trek: Discovery has certainly been a bumpy ride for fans. 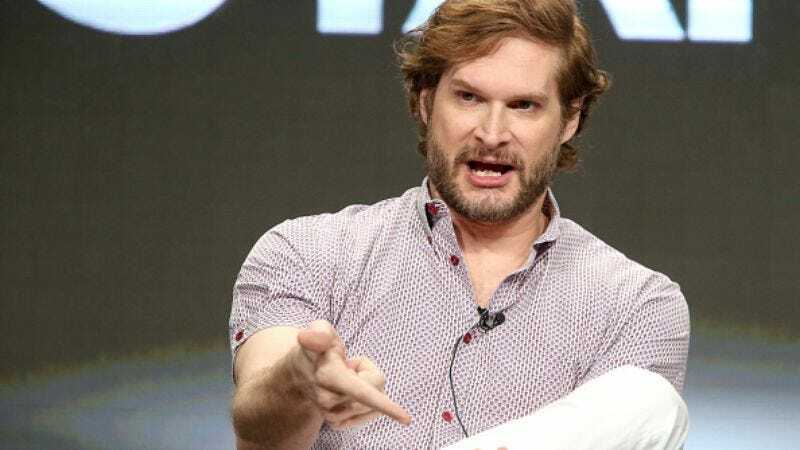 With each exciting bit of news—Bryan Fuller’s the showrunner!—there’s been some kind of letdown, like, say, Bryan Fuller stepping down as showrunner. The Hannibal creator’s involvement has diminished considerably since news of his appointment, and now it looks like his role has all but ended. Fuller, whose schedule was just as cluttered with giving life to American Gods as it was revitalizing the Star Trek TV franchise, tells Newsweek that he’s essentially departed the series. He’ll retain an executive producer credit, and Star Trek: Discovery will move forward with the season arc he crafted, as well as the two episodes he already wrote. But Fuller says that, regrettably, he won’t have any more to do with the new series. Ultimately, with my responsibilities [elsewhere], I could not do what CBS needed to have done in the time they needed it done for Star Trek. It felt like it was best for me to focus on landing the plane with American Gods and making sure that was delivered in as elegant and sophisticated a fashion as I could possibly do. After Fuller and his co-EP Alex Kurtzman had asked for a little latitude on the schedule, the premiere was pushed back from January to May 2017. Newsweek reports that CBS plans to follow through on Fuller’s arc for the 13-episode first season, which will have a broadcast debut but will otherwise stream on All Access.